After you’ve been doing it for a while, blog writing can become a dreaded task. Coming up with new topics to write about every week can feel repetitive and boring; and when you lose the motivation, you can also lose your purpose. This is why having a content strategy is so important. It can not only help to keep your message on track, but also to inspire you so you’re not creating the same content week after week. In my experience, how-to articles are some of the easiest ones to come up with. You are an expert in your industry, so the key is to find a topic that you can describe in detail for your reader, with the goal of them being able to walk away and do it themselves. However, you will want to be strategic in how you convey the information. Unless you’re okay with your readers only stopping by your website that one time, then you need to think of how you can still capture their engagement even after reading your content. This may mean that you provide links to other articles you’ve written that dive deeper into the topic your discussing. Must-have articles are often clickbait, but it’s okay if the information you’re providing has value for the reader. This is a very open topic. You can list the top companies in your industry, websites, trends of the year, things not to do….and so on. Buzzfeed has made lists a must for any content strategy due to the simplicity of the creation process and their sharable nature (like this blog post, for example!). Since trends are always changing, you’ll always have something new to write about. 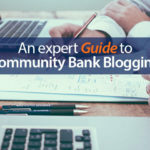 A blog series is a great way to dive deep into a topic that 1,600 words just can’t do. But if you’re going to spend the time to create an awesome series, then make sure to promote it a lot on social! Show relevant examples (good or bad) of what other people in your industry are doing. Not only are these kind of articles easy to create, but they are a great way to get people to share your content. Tip: make all your stats Click-to-Tweet! A guide is like a more thorough how-to article. And a great thing about it is you can turn it into an ebook or some other type of downloadable content that you can have your readers fill out a form to get, which will ultimately help you with lead generation. Influencer marketing is a great way to connect with other industry experts and personalities to reach a broader audience. Ask a friend or associate in your industry (or complementary industry) to write a post on a subject you wouldn’t normally cover. You can both share and promote it, ultimately getting your brand in front of people. A podcast is a great place to either talk through your opinion or something on your mind, or even for interviewing a thought leader in your industry. If you have a really in-depth, how-to article, consider turning it into a webinar. Although it’s great when it’s live, it doesn’t have to be, but having a video for your users to refer to can be more powerful than a written post. Video is dominating the internet right now, so it’s a no-brainer for you to add it to your blogging strategy. Try creating two types of videos: one that is short and to-the-point to promote social sharing, and one that it is longer and more detailed for dedicated viewers. If it works with your blog, try adding another personal element to connect with your users such as including a Spotify playlist with podcasts or music that your currently listening too. Discuss your favorite new products, trends or happenings in your industry. Inbound marketing requires a lot of tools, so when I need to decide on a new one to use, user reviews are the most helpful outlet. Do the same by picking a topic or service that you can review for your industry. I used to hate Twitter until I forced myself to use it every day for work. 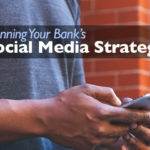 After 4 months of using the social network, I wrote a blog that outlined some of the key takeaways I had learned so far. This tactic is a great way for you to not only connect with your audience, but also to help keep a new topic you’re learning fresh in your mind. Earn more trust from your customer base by spilling some industry secrets. Work at a hair salon? What are some top industry secrets for beating frizz that most people don’t know? Are you a restaurant owner or chef? Tell your customers how to improve their knife skills or key ingredients to perfecting hard-to-make dishes. As an expert in your industry, you probably have a good idea of where the market it headed. Let you customers know what you think will happen and how to stay ahead of the game. Quizzes are always a fun alternative to a typical blog post, and it’s a great way for you to learn more about your customers. Although many people will pass at the opportunity to take a survey, sometimes you need to perform them in order to better your services. Try getting users excited about it by allowing them to be entered into a contest of some sort once they complete the survey. When Microsoft was looking for their next problem solver, they turned their phone number into a complex math problem for potential applicants to solve. Not only did this campaign draw a lot of media attention, the challenge of it made the application process more intriguing. Try creating a challenge for your customers to solve. It could be a riddle or a scavenger hunt with the purpose of uncovering your new product line or service, or any exciting news about your company. Thanks for reading! 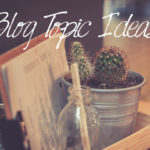 What are some other great blog topic ideas? Let me know in the comments! Download our FREE e-Book packed with tips and tricks for driving leads.